The Madding Crowd Crowd are an alternative rock band from Manchester whose eclectic tones cross over to garage and noise rock whilst tilting towards folk-rock. They are a band who are very much for the people, free-spirited and whose political and emotionally driven lyrics are delivered with off-beat conviction, whilst often taking a soap-box stance. Comprised of Ben Corry on vocals/ guitar, Dominic Corry on lead guitar, Claud Corry on bass guitar and Danny Kristof on drums, The Madding Crowd are a great live band whose single “When I Go Walking in the Rain” is my “Summer Sizzler of the Day”. 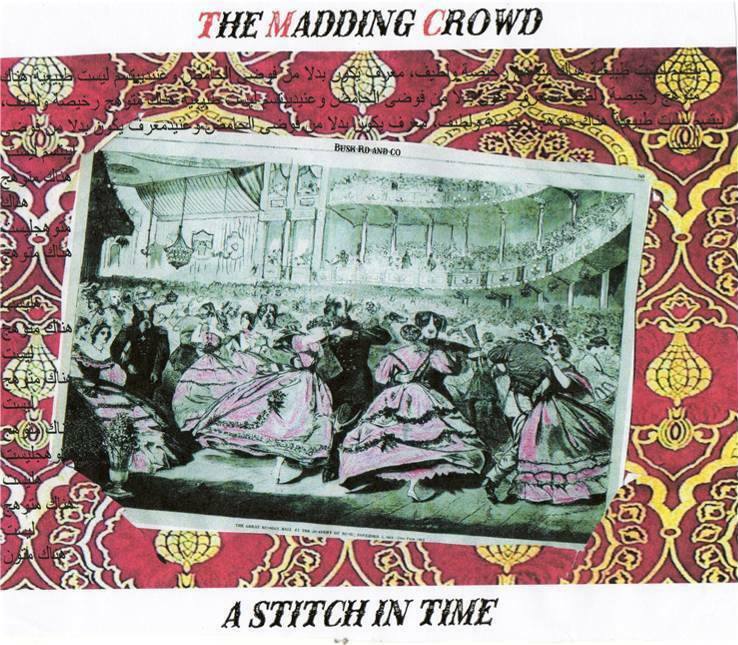 Taken from their third EP, “A Stitch in Time”, “When I go walking in the Rain” is a great song reminiscent of bands such as The Levellers, The Bluetones and Shed Seven with a mix of old skool James thrown in for good measure. It’s swagger folk-rock at its finest, a festival favourite that gets the crowd going with its anthemic chorus and brotherhood chants. Along with the snazzy, looping and reverberating riffs, “When I go walking in the Rain” carries a sunny grandiose with a feel-good factor which filters through the music, making you want to sing along. Vocally rich, Corry sings from the rooftops, with two fingers in the air, a sort of wayward passion that makes you listen and enjoy the ride.